The GREAT BALANCE and the MAMOS of the Sierra Nevada de Santa Marta Invite you to Celebrate the September Equinox of 2018. A Mamo is the greatest expression of the wisdom of the Arhuaco (Iku or Bintukwa) culture of the Sierra Nevada de Santa Marta, Colombia. Born predestined by the superior forces of the universe, growing up and living in close contact with nature they gradually learn its deep secrets. The major Mamos guide them and help them to relate all this natural and innate knowledge with the unique and profound knowledge of the origin that was left to them by Kaku Serankwa (Father God) and Seynekun (Mother Earth). Finishing his training, the Mamo receives the elements of divination known as BUNKWEIKA, ZARTUKWA and SOJORIN. In addition to receiving the Marunsama (profound spiritual knowledge), he becomes an honored counselor and a spiritual and political leader of his people and of his community. The Mamos live in the great house, in the sacred temple of the Heart of the World in the Sierra Nevada. From then on, he is occupied with the knowledge of the cosmos, dedicating his entire life to balancing the creation of the earth and the cosmos and everything else that is within it, all in accordance with the Law of Origin. The essence and mission of the Mamo is reflected in the hills, ponds, stones, plants and beings in this dimension and in all higher and lower dimensions. The main task of the Mamo is to open, in accordance with his intent, the secret portals that lead to knowledge in the temple of life. In addition, he is the guardian of the primitive, ancient knowledge, keeping it pure and intact as it was left by the father, Serankwa Tana. In the physical plane, the Mamo is the person who has the power through his knowledge and wisdom, along with his spirituality, to transmit and reinforce the Law of Origin of the Sierra Nevada. It is the ancestral territory, for the original people, for the populations of the entire world, for all of humanity and for all the past, present and future generations. 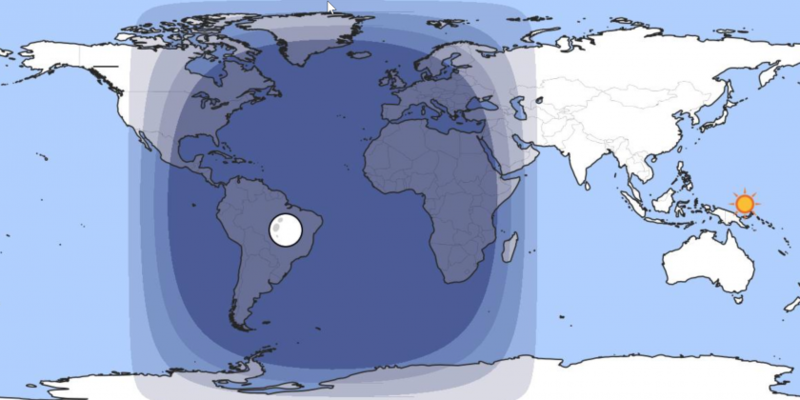 As with most ancient cultures, the Arhuacos measure the pulse of our existence guided by the cosmic rhythms: the solstices and equinoxes, the cycles of the moon, solar and lunar eclipses and other celestial cycles. As humanity and Mother Earth enter into an extraordinary time of advances and accelerated changes, we are recognizing that during this equinox a special cosmic blessing is bestowed upon humanity and upon every person present on earth. The Earth is entering what is known as the galactic photon band that receives direct energy from the galactic central sun. This effusive energy is accelerating and will accelerate the rhythms of the earth, especially human evolution. It can be considered as a cosmic blessing for our solar system, for which we are deeply grateful to the Creator. The Great Balance, together with the Mamos, offers an opportunity to celebrate the Fall Equinox between September 21 and 23, 2018. In order to establish the connection with the Mamos and the participants in the celebration, we are invited to light a white candle. This white candle represents union with the cosmos, with the Mamos in the Sierra and with humanity. At night (see the map of the equinox) concentrate on cleansing all the negative aspects in your own life, as well as that of the entire planet. Meditating during the day, concentrate on your positive wishes for the planet and for yourself. Dedicate an hour, or as much time as possible, to concentrate, along with the Mamos and participants, on this beautiful event, reciting the invocation below, or reciting your own. In the culture of the Mamos, this is the time of the Eternal Presence and is the repetition of the divine act of creation. INVOCATION OF THE MAMOS OF THE SIERRA NEVADA DE SANTA MARTA,COLOMBIA FOR THE EQUINOX OF FALL, 2018. We the Mamos of the Sierra Nevada de Santa Marta invite you to join us to celebrate the arrival of the Fall Equinox of 2018. We are in, and we are entering into, a moment of contemplation and reencounter with our internal I, to connect our souls and hearts forming a platform of Light where the wisdom of the unchanging laws is united with the totality to balance our Mother Earth and with Her, us, as One Humanity. We are opening our hearts to reencounter ourselves through reconciliation with the other, with the elemental brothers of plants, birds, mountains, the breezes of air, and the waters. We declare ourselves as one in love of the New Era. This reencounter brings with itself enormous changes that are taking place right now and will continue for some time farther into the future. We are opening our hearts to the powerful energies that carry these changes. We embrace them with Light and Love. We open our hearts to the Light of the ecstatic sun to make a stop on our way to reconciliation before continuing the pilgrimage as a New Humanity traveling the path of Love. We unite in the recognition of being one with the Mamos of the Heart of the World, to expand their mission on the face of the Earth. 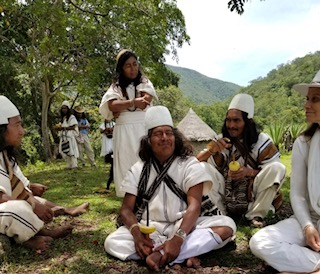 So, together with the Mamos of the Sierra Nevada de Santa Marta, we consecrate ourselves as guardians of the Mother Earth, guardians of the sacred wisdom, of the existence of life, of the clouds, of the stars, and of the mountains. We invoke the sacred mountains, the sacred sites around the world to celebrate life, to realize the dreams and purposes for a better world, and for respect and honor to all cultures as expressions of the physical and ancestral energies which are manifestations of the codes of one and the same Divine plan. We consecrate ourselves to the service of the Light represented by this white candle as the force of unconditional love and of the spirit to take care of and to maintain the joy and the innocence of the children, to protect the helpless, the displaced and the ones who have lost all, due to the advances of the shadow. 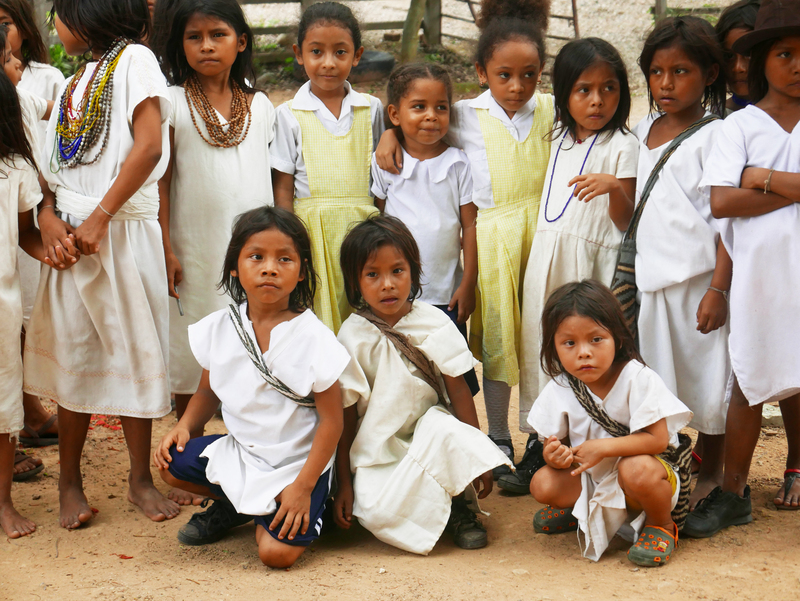 We are recognizing the wisdom that the Mamos have possessed and known since the ancestral times of their forefathers. In this way, we make a commitment to help the Mamos to share the sacred mission to teach this wise legacy to all the brothers on earth. We accept and recognize that nothing is changing within the divine and universal laws that are guiding us and pointing to the way of Light and Love as our common human destiny. With a humble heart we recognize and respect that the universal laws are placed into the heart of all humanity from the spiritual world. Therefore, today united with the Mamos of the SNSM we reconcile with the light, and with the universe, to start on the road toward a new dawn, carrying in our hearts the seed of love and hope. At the dawn of this equinox we are one with the neutral light of the sun in the encounter with Mother Earth to allow the emergence of the full life through the balance between the positive and the negative. We respect all wisdom expressed within the whole, because the whole signifies life, wisdom and nature. 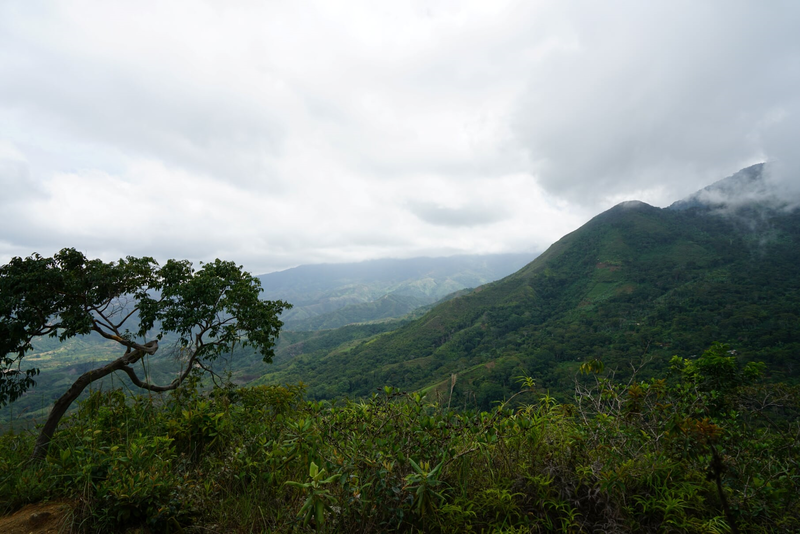 So, we as Mamos of the Sierra de Santa Marta also declare ourselves as one with the whole. And we reconcile ourselves with the universal laws.